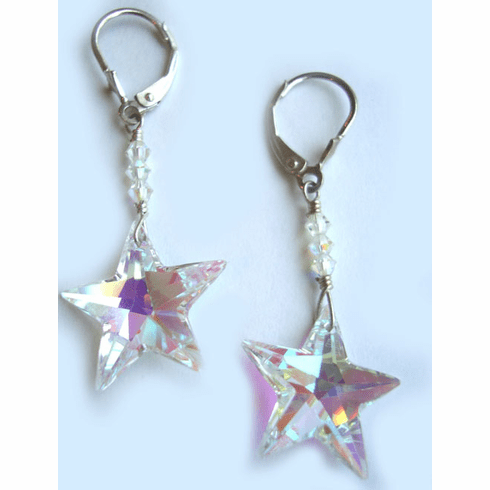 Roc Kandy Swarovski Crystal AB Star Earrings are absolutely stunning and gorgeous in color. Illuminating with the reflective light, sterling silver pierced earrings. Length 1 3/4" and star dimesions 1/2" x 1/2" inch.